Willis Cooper Chartered Accountants were approached by Amber Sound FM yesterday and asked to go along to their studio to record an interview about the budget,to which they of course agreed! Willis Cooper had been recommended by several people as the ‘local proactive accountants’ to Aber Sound FM. Wow, Willis Cooper are certainly getting the right message out there. Simon Thacker joined the Willis Cooper team in December 2009 and was given the task of building on the good reputation Robert Cooper had already created for himself and his practice. 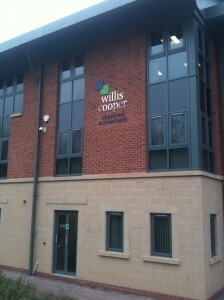 Simon has been making sure that Willis Cooper are proactive, approachable and known! Simon has taken Willis Cooper forward using a variety of social media and networking channels such as business on toast and 4networking. Simon has certainly managed to raise the Willis Cooper profile and let everybody know that Willis Cooper are ‘forward thinking’. Willis Cooper have produced an easy to understand budget report and a more comprehensive report which they can send to you if requested.